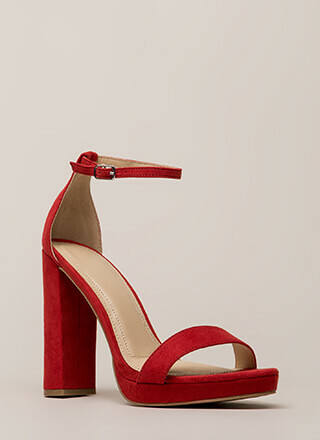 We're telling you this for your own sake: You need these heels in your life! Metallic, open-toe, vegan leather heels feature a skinny ankle strap with an adjustable buckle and a wide toe strap covered in shaggy faux fur. Shoes are finished with exposed sides, an open back, a ridged sole, and a stiletto heel.